Mizuo Peck is an American actress. 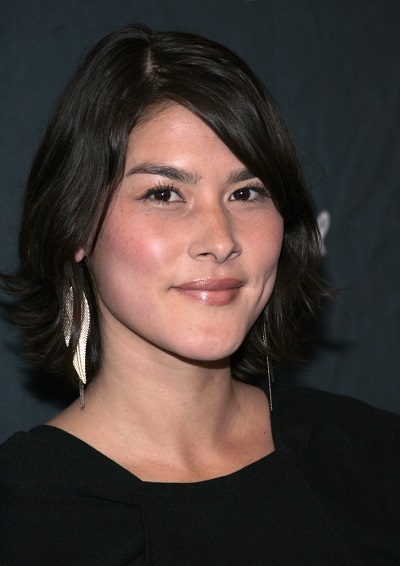 She is known for playing a simulacrum of Sacagawea, a Lemhi Shoshone (Native American) interpreter and guide for the Lewis and Clark Expedition, in the Night at the Museum films. Mizuo’s father had English, and some Irish, ancestry. Mizuo’s mother is of Japanese ancestry. Mizuo’s father is also said to have had Cherokee Native American ancestry. It is not clear if this Cherokee ancestry has been verified/documented. Mizuo’s paternal grandfather was Laurence Tolles Peck (the son of George Leet/Leete Peck and Katherine/Katharine May Tolles). Laurence was born in Connecticut. George was the son of George Lyman Peck and Fannie/Fanny Craft Fosdick. Katherine was the daughter of James Tolles and Ida Louise/Louisa Pardee. Mizuo’s paternal grandmother was Barbara Hewins Field (the daughter of Freeman Roderick/Rodick Field and Agnes Frances Heughins/Hewins). Barbara was born in Pennsylvania. Freeman was the son of Frank Dhu Field and Lottie Emma Freeman. Agnes was the daughter of Albert Henderson Heughins and Mary Josephine Roberts.